This author has picked an interesting subject to write about. I had never heard of a Pythian’s Home for Widows and Children before. To set a romance in this setting was very entertaining. Katie has no choice. She no longer has a home, has only the clothes on her back and she has no source of income so her only choice is to accept the aid of the Pythian’s Home. After all, if her husband hadn’t been in good standing it’s likely her only other choice would be to act as a prostitute. She travels to the closest home and hopes for the best. Ms. Murphy writes a nice, easy romance tale that flows well and makes you smile. 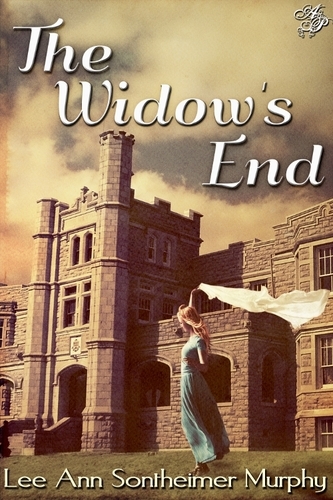 Katie has troubles, but she is bound and determined to get over them and go on with her life. The author makes her kind and thoughtful with a bit of rebelliousness mixed in. Katie will need all of that if she’s to live in this home and not be ground down. Katie’s love interest is the teacher next door. It’s a one room school and the children from the home attend classes there. Everett has fallen out of favor with the home because of an incident with the boys. However, he’s nice enough to Katie. He also grows quite fond of her. This is a short story, so it seems the romance was a bit rushed but Katie has lived all of her life properly and as she should. It may be that finally being free let her spirit loose. I really like how Ms. Murphy ended it. It’s a bit corny, but it made me smile. After all, we have hopes and dreams. And who wouldn’t like a white knight to whisk them away? Give this book a read; I know you’ll enjoy all the antics in it.